Spice is taking her mission to help needy Jamaican women to the next level with the launch of the foundation on May 27th at the Eden Gardens in St Andrew, Jamaica. “I heard some horror stories and I think I can provide opportunities or even a platform that can help a lot of young women in today’s society,” she wrote on Instagram recently. Responding to emailed questions about the chart’s immediate future, Vitoulis denied rumors Billboard was planning to drop it. A rumor circulated on a radio station in South Florida and New York that the publication would scrap its Reggae Album list due to farcical sales returns by leading Jamaican artists. But Vitoulis, without going into detail, said such speculation was unfounded. In recent years, the chart has been dominated by American reggae bands like Rebelution and SOJA, who consistently outsell their Jamaican counterparts. Top Jamaican artistes including Romain Virgo, Christopher Martin, and Konshens show modest to poor returns on Billboard. That is a stark contrast to the 1990s when homegrown acts like Shabba Ranks, Mad Cobra, Patra, Super Cat and Dawn Penn made the magazine’s mainstream chart. In 2010, Billboard introduced the Reggae Digital Song Sales Chart which compiles top-selling digital singles. The Billboard Reggae Album Chart is updated on its website on Tuesdays. Beast From The East by American band Bumpin Uglies is the current number one album. Cardi B continues to live her best life. The Bronx rapper released her debut album, Invasion of Privacy on Friday and, spoiler alert: it’s a smash. She also got news that she would be the first co-host of The Tonight Show Starring Jimmy Fallon tonight and she made her Saturday Night Live debut where she finally revealed that she’s pregnant! That didn’t stop her from being overjoyed when she left the SNL stage on Saturday night yelling, “I’m free!” backstage. Port-of-Spain, Trinidad. April 9th, 2018-Trinidad and Tobago promoter, Glenroy Watson expressed his apologies and regrets to organizers of the Love and Harmony Cruise. There was an erroneous report insinuating that Buju Banton’s first performance, post-prison release, would be in Trinidad and Tobago. Watson said this is incorrect. 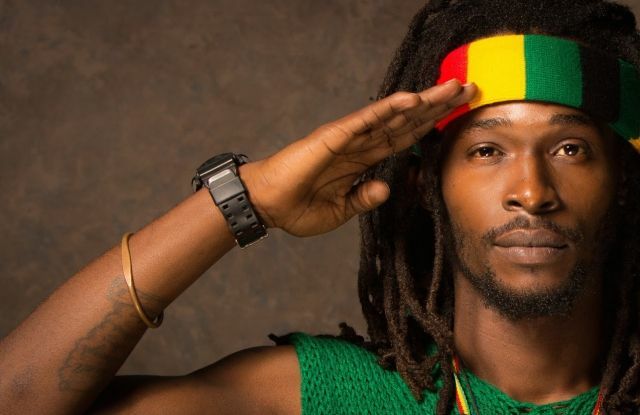 Lamenting that such news, which essentially infuriated many Jamaicans and others on the artiste’s management team, was unfortunately misspoken, Watson, in the same breath assured fans of the ‘Hills and Valleys’ singer in Trinidad and Tobago, that he certainly has secured an April 2019 date, for a concert that will be headlined by Buju. “I am just a bit bothered by the fact that the people of Jamaica and other parties with vested interest in Buju Banton have been uneasy since the initial announcement was made. That of course, was incorrect. There is absolutely no confirmation as of yet, as to where Buju will perform first. We have confirmed our date for the Trinidad and Tobago show in April but that is it. We can say where Buju will perform first," he said. Watson has been a part of the entertainment landscape in the Caribbean and North America for over a decade. In 2009, he hosted the I Am Legend concert event – the last Trinidad and Tobago had seen and experienced the reggae and dancehall hitmaker. “We are preparing for what will definitely be a mammoth concert event. Right now though, the important thing is for everyone Buju to be reunited with his family, his close friends and the people of his homeland who love, respect and have missed him,” said Watson. The soon to be the third highest grossing movie of all-time is going to open in Saudi Arabia on April 18th. The move marks the first time a movie will be shown in a Saudi Arabia movie theater in 35 years. Disney and its Middle East distribution partner Italia Film are set to release the record-breaking film and it will be shown in a new AMC movie theater in Riyadh. Saudi Arabia banned movie theaters in the early 1980's after the country passed extremely conservative religious measures in 1979. A successful reform campaign headed by Crown Prince Mohammed bin Salman resulted in the ban’s end last year. Salman hopes to revamp and modernize Saudi society and Black Panther looks to be the first dope move.